There is a lot we have achieved in terms of economic growth, which is an increase in the value of the output of goods and services produced in an economy in a given year, adjusted for inflation. But there was not much headway in terms of economic development, which is the improvement in the welfare of the society. Usually, there is a direct correlation between the two as economic growth causes an increase in average household income, consequently raising the standards of living for all citizens. Thus, with higher wages, citizens can afford better healthcare and education. These prerequisites mediate economic growth, and the cycle continues. Although there has been an amelioration in economic development in the world, we are still way behind in terms of achieving equality, equity, and other socio-political issues. I mean, it’s been quite a long journey and we have run our due course with evolution, but it’s shocking to learn that we have yet to combat HIV and AIDS, achieve universal primary education, and reduce child mortality. For some of you, these issues might seem so distant and you might be shocked by how many people are suffering, but for others, you might have lived one or more of these issues. For the former, this article will hopefully burst the bubble that you live in, and for the latter, I hope you learn about the efforts being taken to annihilate these issues so that other people don’t have to go through your pain. Today, we’ll be discussing the Millenium Development Goals (MDGs). In September 2000, leaders of 189 countries gathered at the United Nations headquarters and signed the historic Millennium Declaration, in which they committed to achieving a set of eight measurable and realistic goals. The whole purpose of setting these goals was to bolster economic development and improve the standard of living for every single person at a faster rate. Substantial progress has been made regarding the MDGs. The world has already realized the first MDG of halving the extreme poverty rate by 2015. However, as expected, the achievements have been uneven. 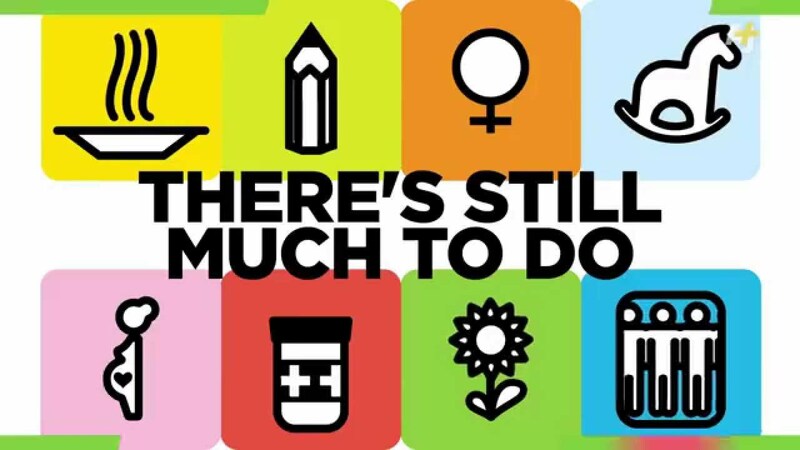 Fifteen years hasn’t been enough to tackle all these problems, and so the MDGs are set to expire in 2015 and the discussion of a post-2015 agenda continues. The focus is now on building a sustainable world where environmental sustainability, social inclusion, and economic development are equally valued. 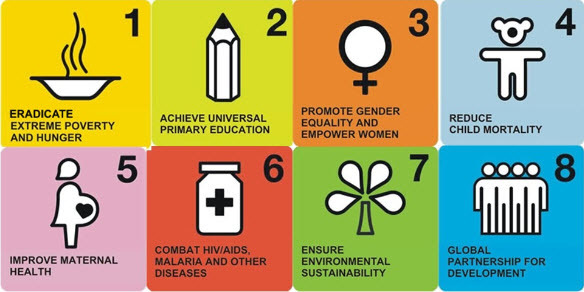 All the representatives met up at the United Nations Conference on Sustainable Development in Rio de Janeiro in 2012, and updated the MDGs to a new set of Sustainable Development Goals (SDGs) which will carry on the momentum generated by the MDGs and fit into a global development framework beyond 2015. In the interest of creating a new, people-centered, development agenda, a global consultation was conducted online and offline. Civil society organizations, citizens, scientists, academics, and the private sector from around the world were all actively engaged in the process. Learning from experiences, they realized that they should involve citizens in the process of developing these goals mostly because it is created for their benefit. Activities like My World survey led by the United Nations Development Grou and specialized panels were held to facilitate intergovernmental discussions. The UN Secretary General presented a synthesis of the results of these consultation processes. Although it might seem like these goals are too vague, that is only on the surface level because each goal has a quantifiable target and small sub-goals to keep the country on track. Personally, I found this global initiative extremely moving and powerful. I truly believe that if so many minds come together, there will be a change. When I first found out about these goals, I was astounded because I didn’t realize how many people were suffering. Living in my own comfortable bubble, I couldn’t even comprehend the fact that many children still had to fight to receive primary education. It was truly appalling, and it really forced me to be grateful for my situation. I really hope that this post does the same for you! Previous Previous post: Nostalgia: Why do we need it?